Kottayam is a beautiful landscape that lies bounded between the tranquil backwaters and the Western Ghats. 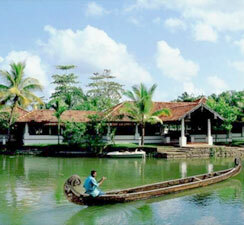 The place is ideally renowned for being Kerala’s center of the rubber and spice trade. 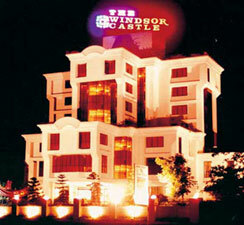 Kottayam is also well acclaimed as the land of latex, lakes and for being the first media center of the country. The Malayalam printing press was first established by Benjamin Bailey a Christian missionary in 1820 AD. This bookish town featuring vivid landscapes has much to offer to its visitors like picturesque backwater stretches, highlands, extensive rubber plantations, lush paddy which attracts flocks of tourists each year from all corners of the world. Though Kottayam has no airfield of its own but those interested in reaching the town following an aerial route need not worry. The airports in Cochin and Thiruvananthapuram are located at a distance of 90 kms and 160 kms respectively. These two airports are well connected with all the major cities of states and the India. Kottayam railway station situated 2kms away from the Kottayam bus station is well connected to all the major railhead of the Kerala state. The Kotatyam railway station works under the administration of southern railway. The pristine town of Kottayam lies on busy rail route between Ernakulam and Thiruvananthapuram. It is served by several long distance trains connecting it to all the major cities like Mumbai, Hyderabad, Chennai, New Delhi, Kolkata, Ahmedabad and Chennai. On reaching Kottayam railway station, one can hire a taxi or board a bus to reach the center of the town. Kerala Road Transport Corporations state buses connect Kottayam to all the significant cities of Kerala state. There are a large number of buses available plying between Cochin, Thekaddy, Kumarakom, Alleppey and Kottayam. Kottayam features an excellent road network which connects the district to all the major cities and towns of India. Kottayam lies on NH220 which connects it to the state of Tamil Nadu as well as the agricultural towns of Mundakayam and Kanjirapally.